Born in 1954 in Buenos Aires, Argentina. Lives in Buenos Aires, Argentina. 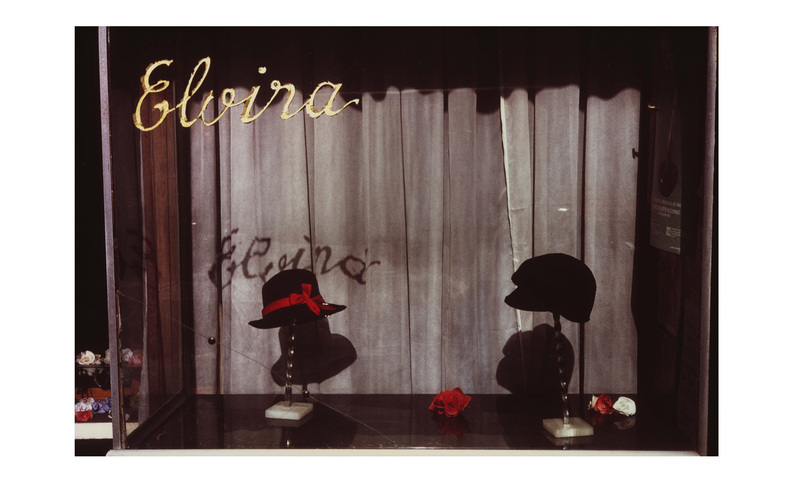 After earning a degree in law in 1980 from the Universidad de Buenos Aires, Facundo de Zuviría decided to devote himself exclusively to photography, which he has made his profession, as well as a form of personal expression. From 1983 to 1988 he worked for a neighborhoods cultural program implemented by the Department of Culture of the city of Buenos Aires. In 1988 he participated in the organization of the Buenos Aires-La Plata Photography Days. In the same year he organized, in collaboration with Eduardo Grossman, the exhibition Maestros de la fotografía argentina 1860-1960, presented at the Salas Nacionales de Exposición. From 1989 to 1991 he created and directed several projects aimed at conserving Argentina’s photographic heritage for the Fundación Antorchas, including the creation of a photo archive and a nationwide conservation program. He was trained in conservation and archival methods in the United States (George Eastman House and Center for Creative Photography), Canada (National Archives), Mexico (Fototeca Nacional, Pachuca), and Brazil (Centro de Conservação e Preservação Fotográfica da Funarte, Rio de Janeiro). He is the author of Estampas Porteñas (privately printed, 1996), Siesta Argentina (Larivière, 2003), and Cada vez te quiero más (Larivière, 2004), all published in Buenos Aires. Toluca Editions has published a monograph devoted to his work: Estampas 1982/2015 (Paris, 2015), which was also released in Spanish by Éditions Larivière in Buenos Aires. Facundo de Zuviría has received numerous awards, including the Gran Premio Buenos Aires, Ayer y Hoy (Plaza Hotel, 1984), the Diploma al Mérito of the Premio Konex, granted to the “One Hundred Foremost Figures of the Decade in the Visual Arts” (1992), and the Premio Leonardo (Museo Nacional de Bellas Artes, Buenos Aires, 1996). He has also served as a juror on numerous commissions, including ones for the Museo de Arte Moderno, the Museo Nacional de Bellas Artes, and the Fundo Nacional de las Artes in Argentina. Individual exhibitions of his work include Fotogramas (Sociedad Hebraica Argentina, Buenos Aires, 1983), Retrato de Nueva York (CAYC, Buenos Aires, 1984), Archivo Fotográfico de Buenos Aires (Centro Cultural San Martín, 1986), Buenos Aires maintenant (Galerie Agathe Gaillard, Paris, 1986), Fotografías (CAYC, Buenos Aires, 1988), Imágenes urbanas (photo gallery of the Teatro San Martín, Buenos Aires, 1991), Kermesse (21st São Paulo Biennial, 1991), Facundo de Zuviría (Fotogalería de Santa Fe, 1996), Estampas porteñas (Centro Cultural Recoleta, Buenos Aires, 1996), Na Rocinha (Instituto Cultural Brasil-Argentina, Rio de Janeiro, 1998), Welcome to Civilization (Fondo Nacional de las Artes, Buenos Aires, 1999), Fotografías (Galería Contempora, Buenos Aires/Paris, 2000), On Sculpture (Schneider Gallery, Chicago, 2002), La secuencia decisiva (Galería Sara García Uriburu, Buenos Aires, 2002), Trama urbana (Books & Books photo gallery, Miami, 2002), Siesta argentina (Dabbah-Torrejón Arte Contemporáneo, Buenos Aires, 2003), La siesta porteña (Galerie Ruta Correa, Freiburg, 2004), Cada vez te quiero más (Teatro de la Ribera, Buenos Aires, 2005), Estampas 1982/2015 (Fondation A Stichting, Brussels, 2015), and Siesta Argentina and Other Modest Observations (Americas Society, New York, 2017). Facundo de Zuviría has also taken part in numerous collective exhibitions in Argentina, Brazil, Spain, France, Germany, and the United States.